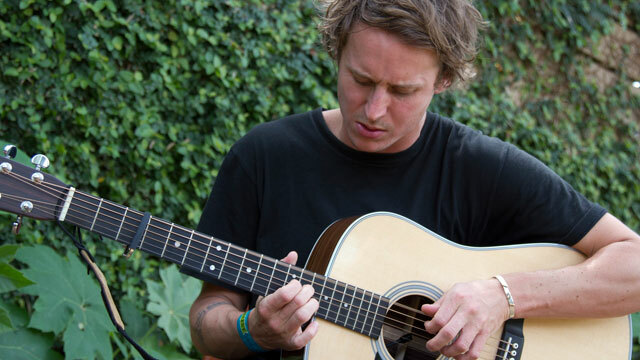 WFUV at SXSW: Ben Howard Interview: "I've met so many crazy people the last couple of days." Young Brit singer-songwriter Ben Howard sat down with WFUV's Rita Houston at the Hotel San Jose in Austin, TX for a chat during SXSW 2012. It's all brand new for Howard, it's his first time in Austin ("a pretty wild and wonderful place"), in Texas, in the U.S., even. They talked about his debut record, Every Kingdom, which he recorded in a converted barn in the countryside: "I poured heart and soul into it for pretty much a year and a half, I thought it I would record it in 6 weeks, but it just went on and on and on... it's kind of a very weird period of my life to look back on now." He's about to embark on a tour up the East Coast ("It's always been a dream to go on tour in America"). Check out a preview song - a live performance of "Only Love" from right in the hotel garden.